It should have been a tremendous achievement, but the tunnel through the Ridge of Leviathan became the site of a great disaster. What really happened that day? You were supposed to have been on the train with your husband and daughter, but you missed it. And then they disappeared from your life forever. It's one year later, and a strange man - a scientist who thinks this is just like the Bermuda Triangle and other such vanishings - invites you to take part in his greatest experiment: To recreate the conditions of that fateful day in Surface: The Pantheon! 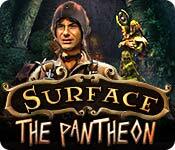 Surface: The Pantheon is rated 4.1 out of 5 by 48. Rated 5 out of 5 by Streva from Engaging Character and Story! This game had a very interesting story and a proper ending! I would rate it 4.8. The puzzles were different and it was fun trying to figure out the goal for each one. You could play the game in a rather serious way by trying to figure out what to do next or more casually by relying on the map. It is a well made game, not too many HOs, long playing, and had engaging characters and a real story. Actually looked forward to getting back to playing it for several evenings. Rated 5 out of 5 by tooltyme from Another great surface game Great game from start to finish. I liked the interactive HOS plus the visual, sound, challenge all just right. But what I liked about this game most is the ending. It ended like a movie it didn't just end abruptly and leave you hanging like most games do. I look forward to more games like this. Keep them coming BFG. Rated 5 out of 5 by strawberrylover7 from One of the Best! This game kept me on the edge of my seat. I really like the Surface games. My hats off to the makers of Pantheon! The horrible Masters look so over powering until I saw them for real. Reminded me of War of the Worlds movie. The puzzles were unique. Finally I played a game that I felt had a conclusion to it. Some games seem to just all of a sudden stop. Not this one! I would have given it 10 stars if able!!! Rated 5 out of 5 by Kimmycoo from AWESOMEST GAME EVER! Ohhhhh my goodness. Words just cant express how great, awesome, unique, spectacular, overwhelming this game really is!!! 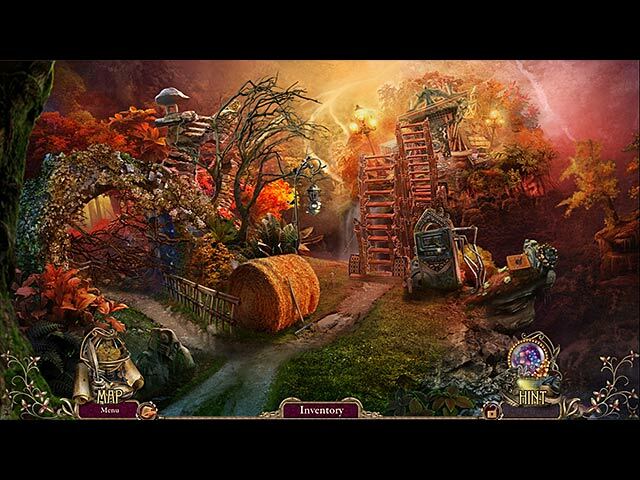 I have not one negative thing to say about this perfect hidden object game. I love the Surface series, they keep getting better and better and they deff set the bar for other game developers. You wont find any developers out there better than Elephant games, that's just my opinion. These guys are the leaders in the HOG genre. This particular game had it all and then some. I give 5 stars on everything. Beautiful, gorgeous graphics, the voice overs fantastic, the hidden object scenes were puzzles within puzzles, unique and totally grand, the cut scenes were amazing, the story line was superb, the ending was long and gave you that feeling of accomplishment. I dont like when games just end when you beat them with little more than credits. This game had a long ending, probably the longest Ive ever seen in a game. The game itself was a long one, 6hours. The puzzles were all unique and great. 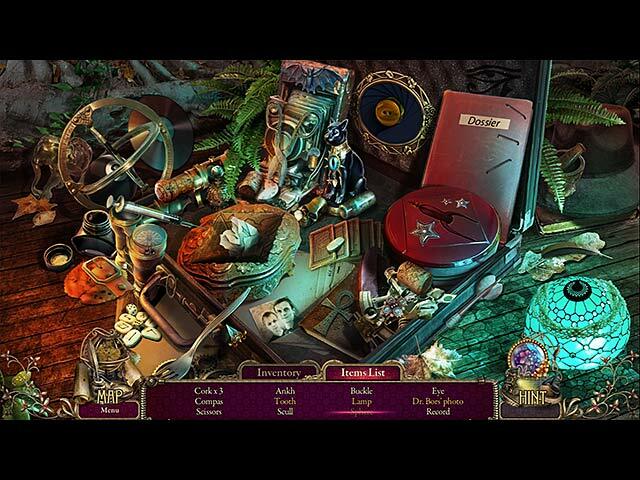 I loved all the characters, it was almost like a movie or a book, so much history and care was put into the characters that you actually began to care about them which is unheard of in my opinion in a hidden object game. Gosh this should have been a 'game of the year" winner. What a gem, a diamond!!! Rated 5 out of 5 by tutortime from Excellent Game Wish I had purchased the cc for this game. Really fun to play. Rated 5 out of 5 by deeclear from Great game I kept me up all night. I won't lie I used the hint more than once but it was very interesting game and I play the name installment as well. Just a good game. Rated 5 out of 5 by Sherryah from Awesome Voices, Gorgeous Graphics, Fantastic Game I enjoyed everything about this game although I never understood why it was stuck with a boring Title. I played the full collectors version and won it. Rated 5 out of 5 by sea_anomoly from IMAGINATION STATION Now we know where the people lost in the Bermuda Triangle end up! This game has it all for me: great art, strong storyline, game play that never lags, and imagination. There is a sort of Science Fiction theme in that there is a form of higher technology---but nothing that you and I have ever seen. Good map that transports with code for objectives. Challenging puzzles that relate to the game. HOS--besides being beautiful were complex. Sometimes you needed Inventory items to open something and continue with the puzzle. Grreat game---keep it up, Devs!